This is a series of 4 classes. The first class will start you off is a non-heated room, and will include complete beginner information, proper alignment techniques, basically yoga 101. The following three classes will build slowly on these principals, and so will the heat. 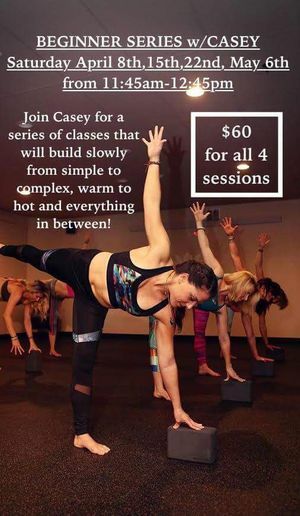 Casey will prepare you for graduation to the 60 minute warm or hot flow class!